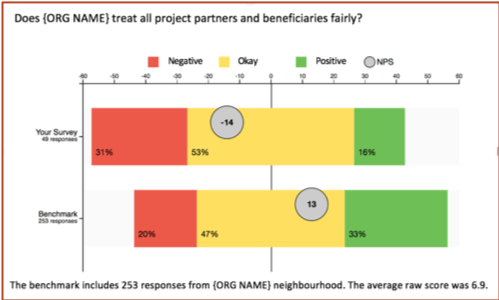 Over the last eight years, Keystone has built a paradigm-changing method and simple online toolkit that enables development organisations of any size to collect and use feedback data from programme constituents (those meant to benefit, implementation partners, grantees, and others), to support learning, mutual accountability, and performance management. It is called Constituent Voice (CV)™. CV is a powerful means of engaging with constituents, and fosters a responsive, agile, and evidence driven management practise that leads to better relationships, smarter learning, and improved outcomes. The automation and simplicity of the system means that, once set up, it can be operated across many programmes well within existing M&E budgets.